According to PM News, Ifunanya alleged that she could not go ahead with the marriage because she was a graduate unlike Uzoigwe whom she claimed was a school drop-out. Rev. Maduagwu had no option than to inform the groom and the guests that were already seated at the church hall that the wedding had been cancelled. This caused an uproar in the church as guests who expressed shock over what happened started trooping out of the church. Narrating what happened, Uzoigwe said he proposed to Ifunanya for marriage and she agreed on condition that he would send her to school, which he agreed. He said after she gained admission, he was financing her education and they agreed to wed during her final year. He said he had paid her bride price and she was part of the whole wedding plan and he even gave her parents N160,000 to prepare for the wedding, besides other arrangements and expenses incurred on the wedding and reception. Uzoigwe said she did not inform him about her decision to back out of the wedding until he got to the church only for the priest to inform him and the guests about the cancellation of the wedding. “If she had informed me, I would not have made arrangements. We had already cooked food and bought drinks for the wedding,” he said. He said when he contacted her parents, they said they would not force her and asked him to come and take back the money he gave them to prepare for the wedding. 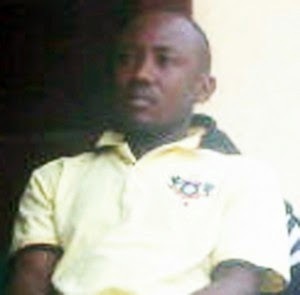 Uzoigwe said he was still shocked about what happened because he did not quarrel with Ifunanya before the fateful day. He said he also made sure she was comfortable by making money available to her while in school. Uzoigwe is a business man based in Abakiliki, the Ebonyi State capital. He met Ifunanya at their home town, Umuchu, where he proposed and sent her to school.